Is there any better food to celebrate than candy? Just about everyone is a candy lover in one way or another. There is just so much to pick from, from chocolate to hard candy to old favorites, everyone can find something they enjoy. Even those of us who are health conscious can celebrate this holiday, since the market has seen an increase in healthy candy made with organic sugar. 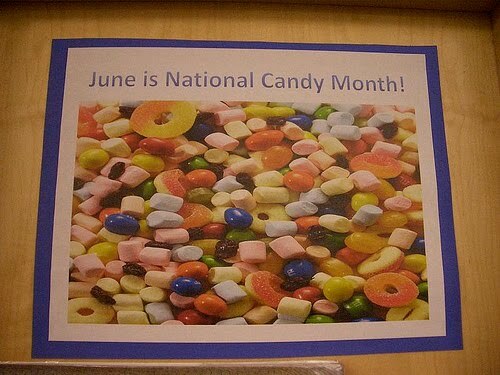 However, if you are less worried about your waistline and more concerned about satisfying your sweet tooth this is the month to do it. Make sure you spread the word, or better yet spread the candy. Candy can be an affordable way to show someone you care. Whether it is gummy bears or chocolate, or better yet chocolate covered gummy bears, share your indulgence with all your friends this month. Welch’s Fruit Snacks- have a Fandemonium page to celebrate their fans! Goody Good Stuff gummy sweets combine the highest blend of ingredients including natural fruit juices and extracts which create a beautifully clear consistency and superior taste experiences, making these sweets an irresistible, natural choice for you and your family. Goody Good Stuff is happy to celebrate National Candy Month, allowing you to feel guilt-free about indulging in something delicious! 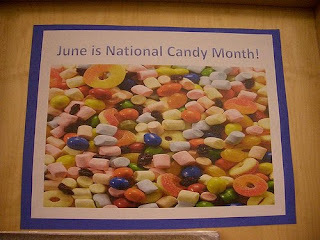 National Candy Month, huh? That's the first time I heard this one. I should use that as an excuse to eat dark chocolate every day all month. Yes, believe it or not you can search it on Google.